Dutch full-back has signed a one-year contract to return to the Buddies. Jeroen Tesselaar has returned to St Mirren on a one-year deal, two years after leaving for Kilmarnock. 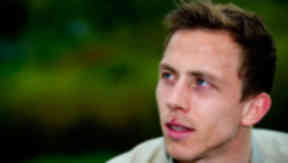 The Dutch full-back was a star with the Buddies during the 2011/12 season before departing for the Ayrshire outfit. Tesselaar worked under Tommy Craig in his previous spell with Saints and says the new manager's style of football was key in his rejoining. He told St Mirren's website: "I am delighted to be back at St Mirren. I really enjoyed my time before at St Mirren and I hope we can achieve a good season. "I know Tommy Craig’s style of football which is the Dutch way of total football and I can’t wait to get going." Tesselaar made nearly 70 appearances during his time with Kilmarnock.